Sunday March 19th: Town Common Excursion Meet 8.30am at main entrance (off the Pallarenda Road). Following the postponement of the kayaking trip we are staying local and picking a destination where it doesn’t matter much what the weather does. We can meander along the road through the Common stopping at bird hides and taking short or longer walks according to the conditions and our inclination. Wear hats, walking shoes and sunscreen. Bring repellent, water and snacks- and whatever else you require. POSTPONED *** MONDAY MARCH 27th: STOP ADANI ROADSHOW *** POSTPONED 7pm JCU Sir George Kneipp Theatre. Click here for more information and how to register. There is a small $10 charge to help raise funds for the campaign, but it is FREE for anyone who can’t afford that, including children, students, concession holders. This is so important – let’s make sure we fill the 500 seat auditorium with people who value our reef (and the 70,000 jobs and $6 billion per annum it generates) more than coal dollars. Should you need any extra motivation read The Adani Files and latest revelations about where the profits will go. Or consider how it can possibly be right to allow this massive mine to add to the stresses already placed on an ecosystem of such vital significance to us, to our oceans and marine life, which is already pushed to its limits – see Back to back bleaching (below). This event was postponed due to cyclone threat – advice of re-scheduled date will be circulated when available. 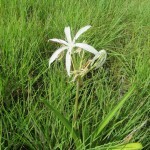 Saturday April 1st: Mundy Creek Landcare Day 4.30-6.30pm. Meet at footbridge beyond Castle Hill PCYC, Harold Phillips Park. Details of other Landcare sites and working days can be found on the CDTLI website. *** SUNDAY APRIL 9th : TOWNSVILLE BRANCH AGM *** 9am for 9.30am NQCC offices, 114 Boundary Street. All members (and friends) are enthusiastically invited to come along for a couple of hours to lend their ideas and support at our AGM, followed by a planning meeting. As president for the last 5 years I am stepping down and the continuation of the Branch’s conservation advocacy and activity, as well as those monthly field trips that everyone seems to enjoy, relies on having people willing to help with ideas, planning, writing, organising. Annual reports and proxy forms will be sent to all members before 9/4. We are grateful to the Conservation Council for allowing use of their premises. If driving towards the port it is on the right-hand side of the road, between the Railway Ave intersection and Tenth Avenue- opposite a bright red Real Estate building and a bright yellow Pet Food outlet! There is a big NQCC sign on the fence. If you value our organisation, please put this date in your diary and come along. Ongoing until 2nd April: Driving north? Take time to stop in at the Tyto Regional Art Gallery, Ingham. Joint exhibition by Dr Barbara Cheshire “Senses of Soul and Place” and wildlife artist Daryl Dickson, “On the Wild Side”. The gallery opens daily from 10am-4pm, details here. Recently bleached coral at Vlasoff Reef. Courtesy WWF-Aus and BioPixel. Back to back bleaching? Confirmation that a second mass bleaching event is occurring only 12 months after the devastation of large areas of the far north section of the GBR is about the worst news possible. Whether the bleaching is as severe or as extensive as in 2016 is yet to be discovered – and in a sense is almost immaterial. 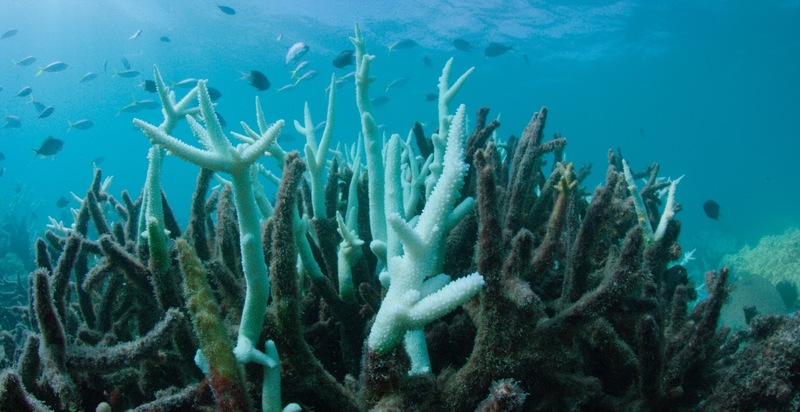 Mass bleaching events, first observed on the GBR in 1998, have hitherto been separated by at least a few years allowing the Reef’s famed resilience to come into play. But a reef bleached on this scale every year or every 2 or 3 years has no chance. Read more here and follow these links to view high resolution images and video of Vlasoff Reef off the coast from Cairns. I don’t know about you – I’m not a diver and have only ever snorkelled little bits of the Reef – but it breaks my heart. 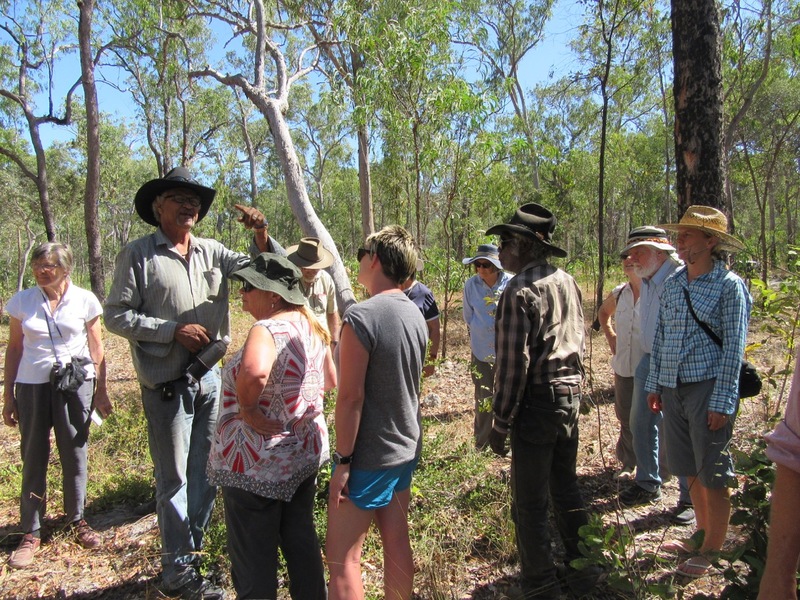 Mundy Creek field trip: Despite the heat a large group turned up for our Mundy Creek exploration last month – which proves once again that local destinations are very popular. Personally I love to see people discovering, or re-discovering, the natural habitats that are scattered around our city, learning about the wildlife that shares the city with us – and, in this case, meeting some of the people who are striving to keep these places special. Read our report here. 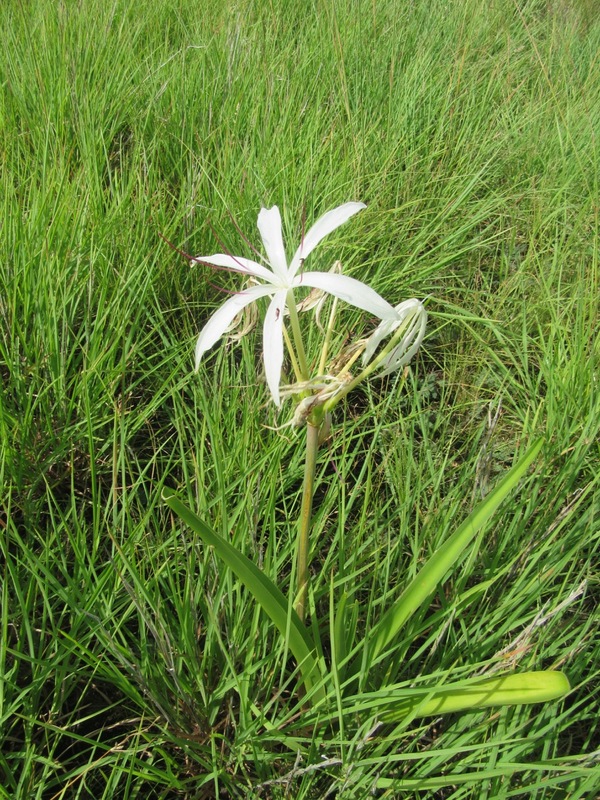 Photo at left is a lily, Crinum angustifolium, poking up from the grasslands. In backyards or on beaches … there’s always something to surprise or intrigue us. For three weeks in February I was honoured to play host to a beautiful Southern boobook that decided my house and garden was a good place to snooze during daylight hours, choosing some unconventional perches. Read her (or maybe his) story here. And, strolling along Balgal Beach, a straggly dark line that clearly wasn’t washed up seaweed, caught another member’s eye. It turned out to be composed of thousands (millions?) of dead flying ants. But why? and what kind? Discover more here. Bilby tracking - Save the Bilby Fund is running several more Bilby Tracks trips to the Currawinya National Park – April/May, July, September and November. You can read more here and register your interest in any of the trips. You only need to take sleeping bag, pillow and personal clothing and effects. As one of our members found last year, this is a great opportunity to see a very different part of Queensland, meet lots of lovely people and contribute to a valuable citizen science project which helps the bilbies. Cape York or the Kimberley with ACF. 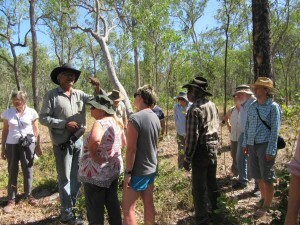 Once again ACF are providing exciting opportunities to travel to remote areas of northern Australia in company with indigenous elders to experience and learn about the landscapes, natural and cultural history and to support indigenous communities establish environmentally and culturally sustainable tourism enterprises on their traditional lands. Last year I took part in one of the Cape York trips with the Olkola people – read about it here. This year they are offering 2 more Cape York trips as well as one to the Kimberly coast with members of the Kimberly Land Council. Follow these links for more information about the trips to Cape York and the Kimberley.